This was taken sometime in mid January this year. I was in a bad shape after she broke my heart because she couldn’t let go her past still. After all that we went through, I thought we were going to be an even stronger couple. I was wrong. I couldn’t eat. I couldn’t sleep. I became a functioning zombie and nothing more. I needed some social medicine so I met my friends at a cafe. It was a cosy, homey, exquisitely furnished place filled with rows and rows of books. Ok, a slight diversion here. It was in many ways my dream cafe – the exact sort of cafe I would like to own someday. It had plenty of retro furniture, quirky accessories and a mixture of modern pieces that are eclectically placed. Its menus were another unique feature. Instead of the standard printed paper booklets, the cafe used old hardcover children story books, tore off the pages inside and put their printed slips of menus in between the covers. It was creative, although it’d pain my heart if I had to do that to my personal collection of books. Ok, now back to my main point. 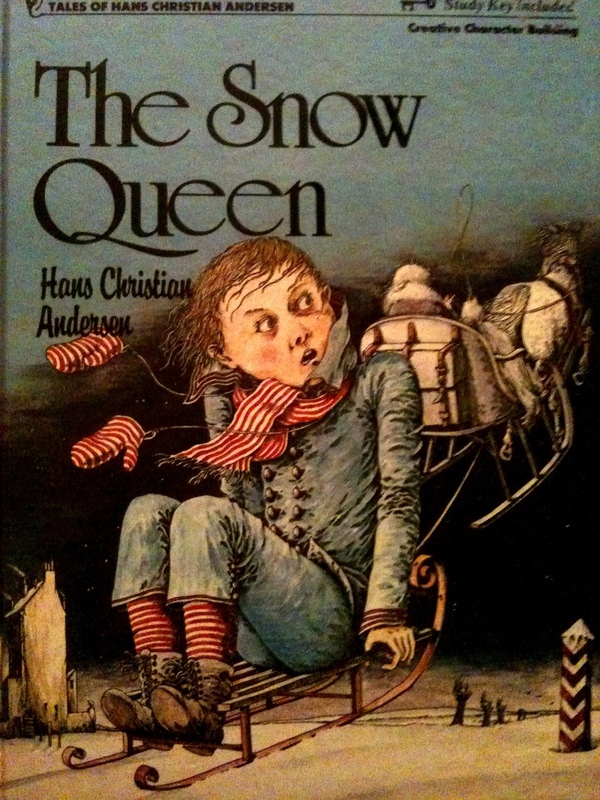 So I was given the menu with Hans Christian Anderson’s “The Snow Queen” as the cover. It was prophetic. There I was feeling miserable, with my whole world crushed, and a book came to enlighten me. The Snow Queen is a fairytale of a little boy Kai who was enchanted by an evil mirror and he became cruel to everyone he meets because he only sees the bad in everyone. Shortly after, the Snow Queen came and took him away from his home to a faraway place that was icy and cold. He was content staying there because he didn’t care for anyone but himself and his pleasure. His childhood playmate Gerda was heartbroken at his disappearance. Both of them were “devoted in love to each other” since young. So she searched high and low, travelled to faraway places, sacrificed her life’s possessions and went through hardships so determined was she to find him. I thought it was a true reflection of what we were going through then and maybe even now. 1. Why do you sometimes keep on doing things which you know are wrong? List some things which sometimes seem good, but are really bad for you. 2. Gerda seemed helpless. What made her strong? 3. When other people hurt you because they don’t live up to what you expected, do you try harder to help them or do you give up on them? 4. Have you ever done anything which was very hard, then later felt glad you had done it? Had I learned anything since? Well, it’s yes and no. I think in the past few months, what I’ve learned is many other people would have taken a look at what’s going on and ran the opposite direction. And you won’t even see a trail of dust behind them because they are just that fast. There’s no one to tell me what to do. I have to tell myself what to do. And there are too many voices in my head that I don’t know who I should listen to. It’s not easy to keep myself from spiralling downwards when things are not happening the way I expected them to. Then I thought if she was Kai and I was Gerda, I should prove how much I love her and how much she means to me and I should continue doing the things I have always done for her and I would never give up on her, no matter what. Because she means so so much to me. Tell me if I’m just another silly fool. My friend once told me there is no right or wrong when it comes to love. Sometimes you just have to do what you feel inside.